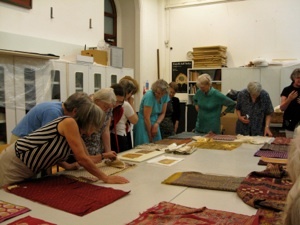 On 11th July 2011 a group had the unique opportunity to visit the V&A Museum and look in detail at some Indian and South East Asian ikats in their collection. The Curator of the Department of Asian Art gave us an interesting analysis of the samples. 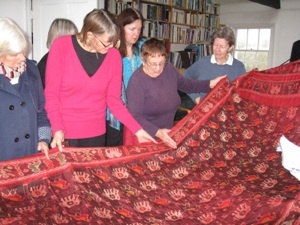 We were invited to the home of Claude Delmas, one of our members, in November 2011 to see her comprehensive personal collection of Asian textiles. Her knowledge of each piece was impressive. 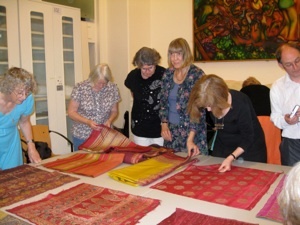 We were fortunate too to be able to see her own fabulous ikat work and to see her designs and how they were produced.